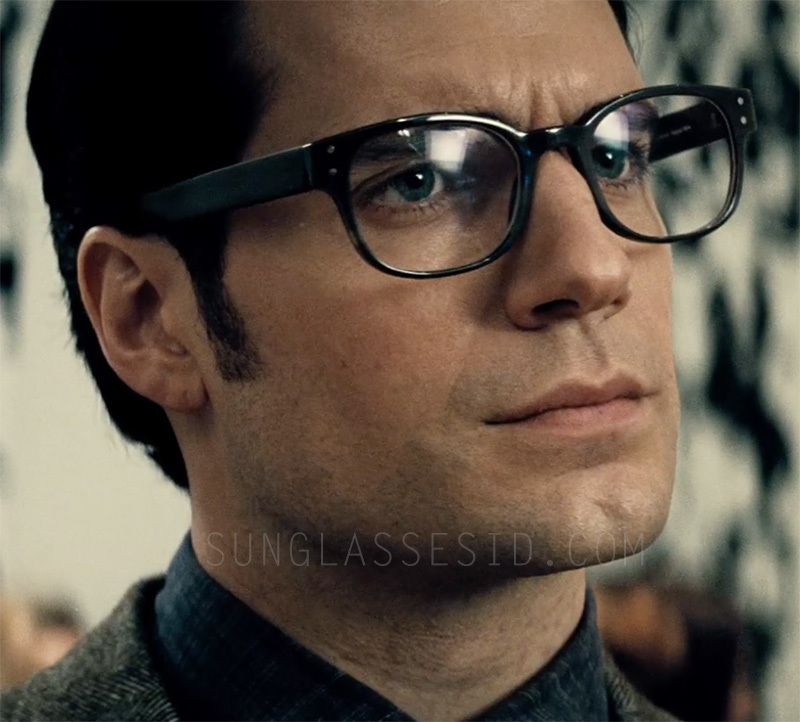 Henry Cavill wears a pair of Tom Davies Bespoke Horn eyeglasses in Batman v Superman: Dawn of Justice (2016). The eyeglasses have a dark frame made from horn, with two rivets (metal dots) on each side of the temple. A Tom Davies Bespoke design consultation starts with getting to know the customer. To create a customer’s Bespoke frame, Tom Davies takes a series of precision measurements and photographs. These are sent to the TD design studio where the eyewear is designed and then submitted to be made in our workshop. 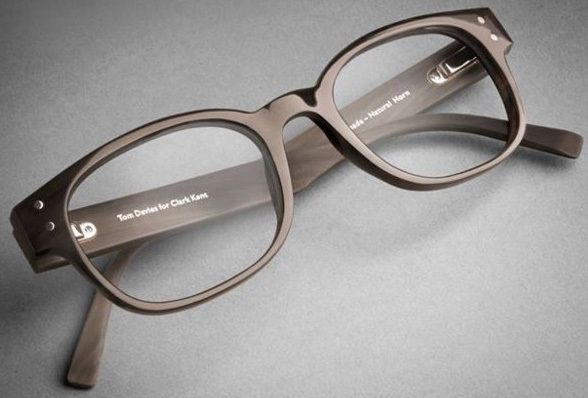 TD Tom Davies produces all of its own frames. 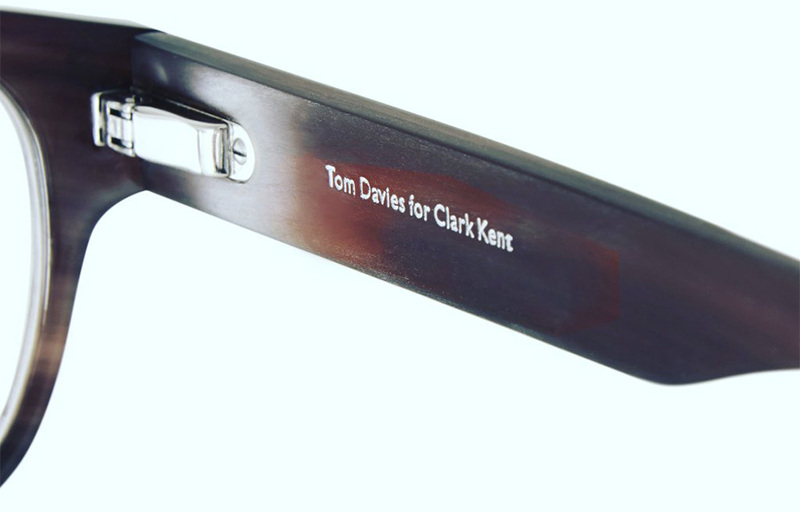 All Bespoke frames are finished with the name of the customer engraved discreetly on the inside of the temple arm, in this case Superman's name, "Clark Kent".